For all the slip ups and headdesk moments that came with the WWE women’s division in 2016, it’s hard to deny that it was a significant year for the women. 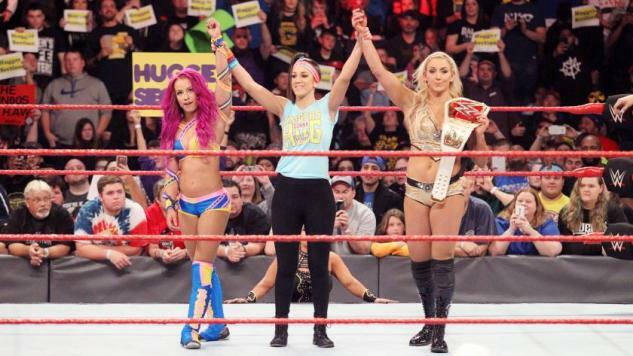 This year gave us several surprises and history making moments across the three brands, from the phrase “diva” finally being eliminated from the company’s vocabulary, to Sasha Banks and Charlotte Flair’s ever increasing stipulations. However, with those advances, there’s still a lot more that could be done to really take women’s wrestling in WWE to the next level in 2017. Here are just seven things Paste would love to see in the upcoming year as WWE continues their commitment to women’s wrestling. I’m admittedly a bit of a Raw apologist, not being as down on the show as many of my fellow fans. That aside, the women’s division honestly has been struggling a little there between Summer Rae and Paige’s injuries and no second focus for the division besides Flair and Banks. Now that their near blood feud has been settled, 2017 would be a great time to use the two superstars to help build up other women in the division. We’re starting to see this with the budding Banks/Nia Jax and Flair/Bayley feuds and I hope it deepens and continues throughout the year. I came to love Alicia Fox watching old episodes of NXT, but they really have struggled with a direction for her over the past several years. That is a shame because she’s a good wrestler who deserves more actual ring time and not… whatever this storyline with Cedric Alexander and Noam Dar on Raw and 205 Live is. Considering how sparse the women’s division is, now would be a perfect time to build her back up as a character. Or if Vince McMahon is so desperate to bring back elements of the Attitude Era, maybe he could start with Fox challenging for the Cruiserweight title, like Jacqueline did in 2004. Speaking of Fox, Alexander and Dar, what is it with the WWE’s recent rekindled interest with romantic storylines? Not just Fox and Alexander, but Carmella flirting with James Ellsworth, Enzo Amore’s disaster angle with Lana, and making Renee Young and Dean Ambrose’s relationship a part of the current Intercontinental Championship angle. It’s not just awkward and cringeworthy, but it really downsells the talent of the women involved. Throw them out and do better. Nikki Bella has been on a roll since returning from injury at Summerslam. Her work on Smackdown Live has been doing wonders to put over the new talent and she’s been proving herself over and over as one of the most solid workers in the entire company. So why is Smackdown Live still dependent on making all of her storylines revolve around her status as a reality star? I guess it is progress that she’s no longer a heel because of it, but I’d like an angle where her breast implants or her relationship with John Cena aren’t used as heat fodder. It’s weird to think that, as often as Naomi has been praised for her in-ring ability and her electric entrance, she’s still never held a title in her near seven years with the company. Though it’s unfortunately not that surprising either considering Banks was only the fourth ever black woman to hold a women’s title in any capacity since the creation of the original Women’s Championship. If Smackdown Live wants to call itself “the land of opportunity,” it’s time for them to give the opportunity of a title run to Naomi. Asuka is a force like no other. 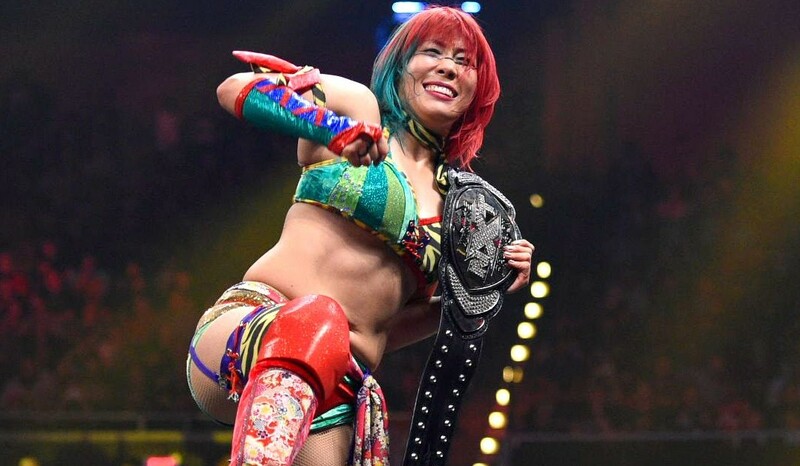 With an undefeated streak longer than Goldberg’s, the main question of the NXT Women’s Division for the past year has been “Who can beat Asuka?” Believe it or not, though, there are still records for her to beat at NXT, and what better to signify the NXT Women’s Championship as THE title at NXT than having her beat the 344 day title reign set by the Ascension? I mean, she’s already beaten Paige’s record. Since the Cruiserweight Classic ended, there have been persistent rumors that the WWE has been planning a similar women’s tournament for the Network. With the recent signings of Heidi Lovelace and Kimber Lee and the announcement of the United Kingdom Championship Tournament, it seems like that is indeed a possible direction. Possibilities don’t make good programming, though, and I am ready to see women wrestlers lay it on the line the way the Cruiserweights did last summer. Ashley Leckwold is a freelance writer based out of Atlanta who specializes in comic books, professional wrestling, and pop-punk music. Besides being regularly found at Graphic Policy and The Outhousers, you can find her at her blog and on Twitter @misskittyf.